Without a doubt, one of the most beloved super heroes in the world is Marvel’s Spider-Man! For over 55 years he’s been swing through New York City (and beyond) saving the day. 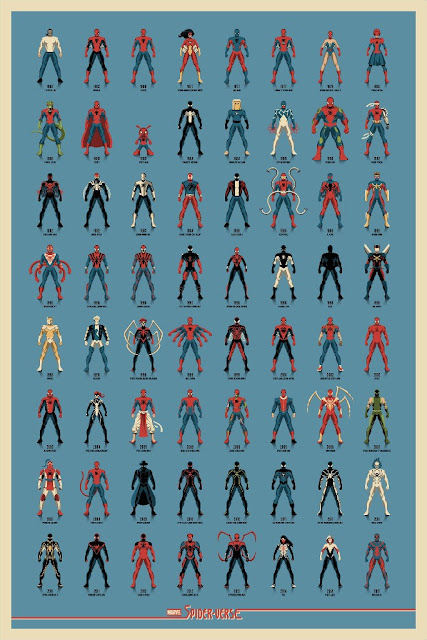 In 2014, Marvel published an event called “Spider-Verse”, which featured every version of the Spider-Man character ever created during his extremely rich history. Mondo is using that storyline as the basis for a “history of” type poster that features the many various Spider-people over the course of Spider-Man’s 55 year history. 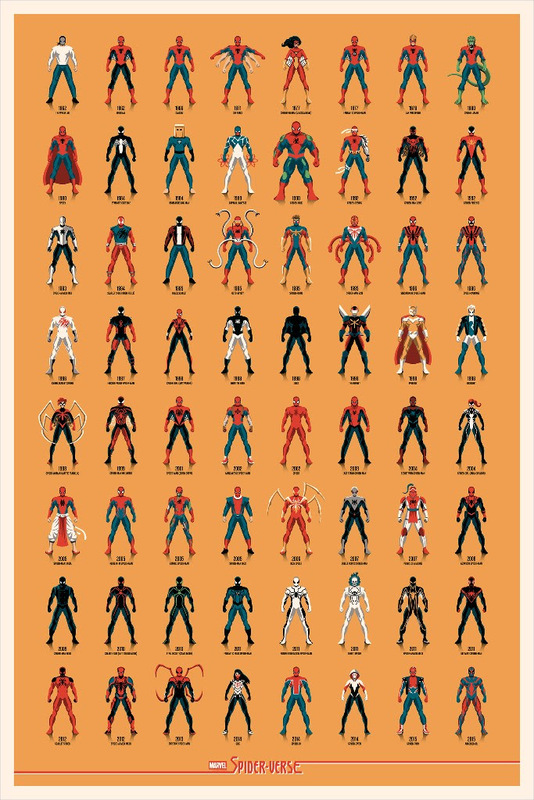 To create this awesome design, Mondo has enlisted the magicians at DKNG to design a Spider-Verse screen print that includes upwards of 70 different incarnations of Marvel’s ol’ web head from alternate Peter Parkers (and Porkers) to other iconic characters who also donned spider powers of their own. 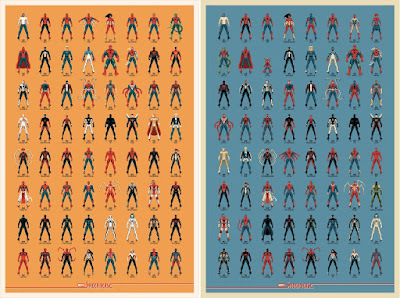 Spider-Verse by DKNG is a 24”x36” hand numbered screen print, which will be available in two colorways. 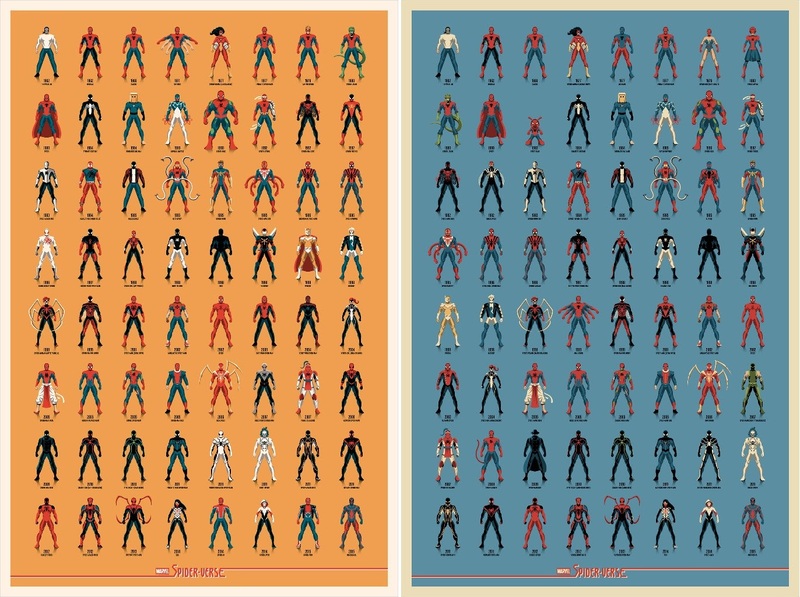 Both versions seen here will retail for $50 and are timed edition, meaning the Regular Edition and Variant’s run sizes will be set by the number of posters ordered during the 72 hour window to place an order. Fans can order these awesome prints from now through 10am CST on Sunday, March 26th, at the Mondo online store.